What an accident can teach you about connection, humour and gratitude. Just 4 month after we moved to our beautiful little village. I decided to boil some eggs already for dinner. I put them on the fire, turned the fire low, than got distracted by kids, the dog, the laundry and at the end my alarm that told me to pick up my oldest from school. I tied all loose ends — at least I thought I did — and left the house in a hurry. When I got to school on time, I was so relieved that I agreed to the boys’ request to play at a classmate’s house. I started a very nice conversation with his grandma, and I ended up staying there with the boys for the rest of the afternoon. My phone was still in my car, as I never take it with me when I pick up the boys. When it was time to go home, I checked my phone: 8 missed calls from my husband… That couldn’t be good. I called him back with an uneasy feeling. 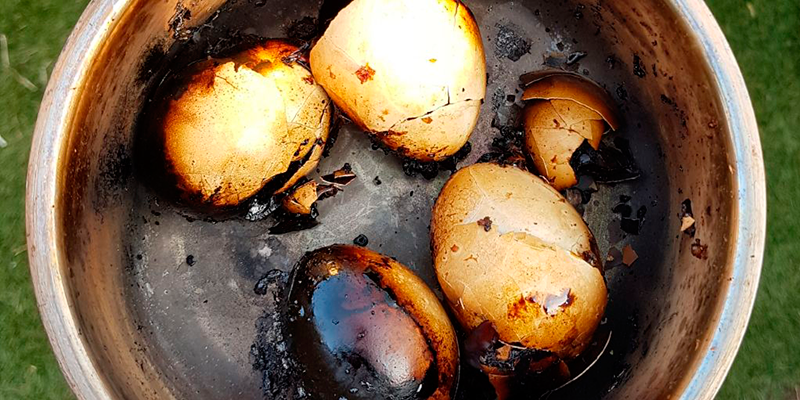 “You left the eggs on the fire, the firemen are here!” exclaimed the voice from the other side. Finally at home, I realised that it was not as bad as I thought. Luckily, no one got hurt. There was no fire, only smoke. And there was no damage to the house, other than the BBQ smell, that stayed for a couple of days. I was a little shocked, relieved and grateful all at the same time. This incident was also a great teacher and I’ve learned a few lessons. After the event, people came to me. I told them sorry for scaring them all and making such a mistake. A lot of them suddenly started to open up to me about their mistakes as well. It turns out, people open up about their screw ups when you get honest about yours. I’ve heard stories about smouldering sausages left on a convention grill, eyebrows on fire and cooked-in plastic spoons and combs. In the midst of it all, I was connecting to those people. We shared something embarrassing about ourselves and we were okay with it. Connection, true connection happens this way. Another thing I’ve realised — and had to endure — was that people process scary and shocking events through humour. The smoked-egg jokes were, and still are pretty popular around me. Hey, I’m even making jokes about it! If you look at caricatures, satires, cartoons, it all makes sense of course. As I was looking around and listening to the people, I couldn’t help but feel grateful. At the end of the day, there was a whole list of things that made me feel grateful. I was grateful for knowing that my neighbours take action when someone is in need. I was grateful that no one got hurt. I was grateful that other than a little cleaning and washing, there was no damage. I was grateful for connecting with people around me on a whole new level. I was grateful for the insights I’ve learned from this. I was even grateful that there were no mosquitos coming into my house for some time after the event. And I am still grateful for being able to let go of this mistake, learn from it, tell about it and still walk tall on the streets.